After fun random talks with some of our area's best wedding dream makers, we are so excited to finally unveil our newest feature series for anyone with a sweetie and a love for spending time together! Now presenting... Date Nights at Home, fun themed home-cooked dinner inspiration and totally doable tabletop styling ideas with a pop culture twist. 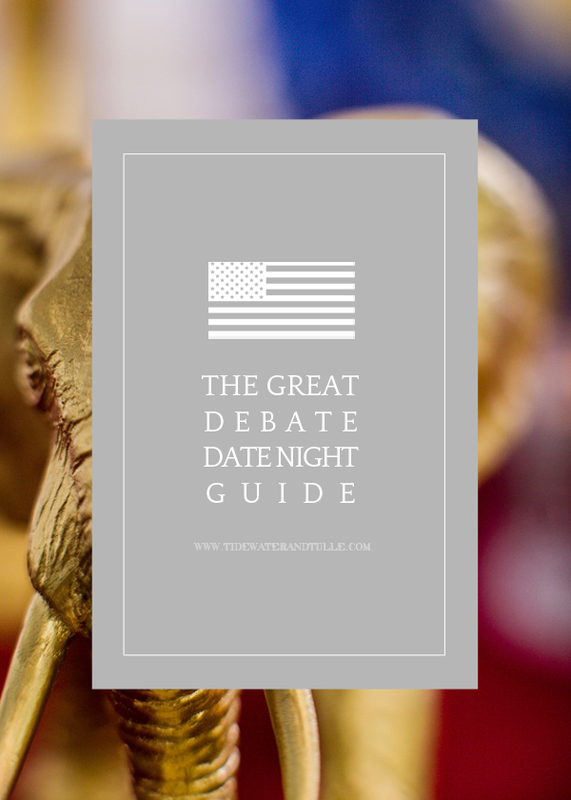 To start us off thanks to colorful imagery by DCPG Photography, "The Great Debate Date Night" takes the podium for those who met while debating together in school, those who work in or love the political world, those who can't help but be total 'MURICA! 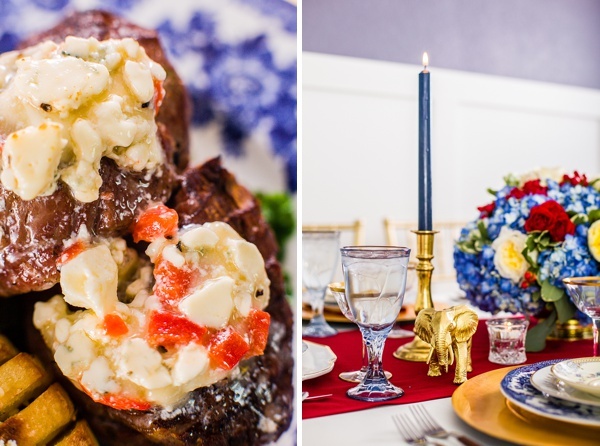 for patriotic holidays like Fourth of July, or those who just love having themed dinner parties, this date night is totally for you and another couple! Double dates means twice the amount of laughs and quality time together... especially when there are a great menu, fun games, and good vibes! 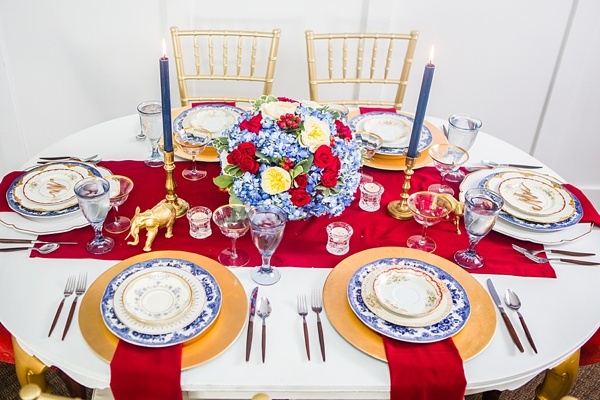 From DIY spray-painted animals to golden details, there are so many ways you can set the table for the perfect debate-inspired party. 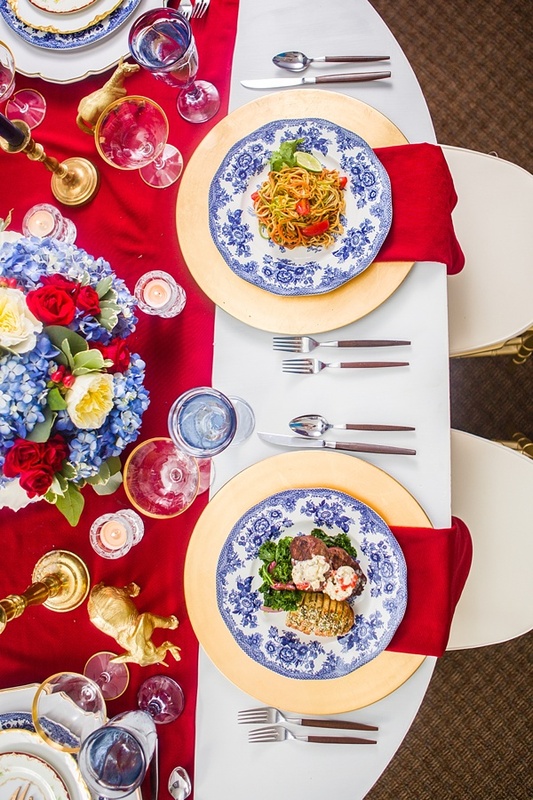 Consider mixing patterns, glassware, plates, and flatware you might already have in your cabinet; you can unite these mixed elements by sticking with a color scheme such as red, white, and blue. White is a great neutral to help your table not look busy or cluttered! So whether that is your table or a tablecloth, definitely consider a white base for your tablescape. When Adrienne of Heart's Content Events and Design styled our table, she was inspired by things that were readily accessible through her personal collection, local vendors, and shops. So look around your home to see what you already have before getting new stuff! Roses and hydrangea are all easily found in your home gardens, local florist, and grocery stores. 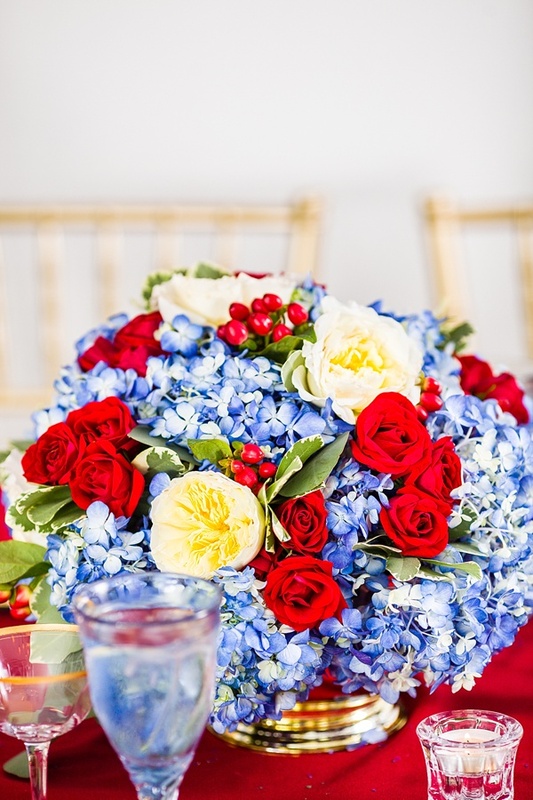 While we highly recommend your getting a floral centerpiece arranged by a local florist just to save you time and energy, you can likely also purchase loose blooms from your favorite flower gal or guy as well to make your own at home! We love hunting around thrift stores and antique shops when it comes to the pretty things on the table. 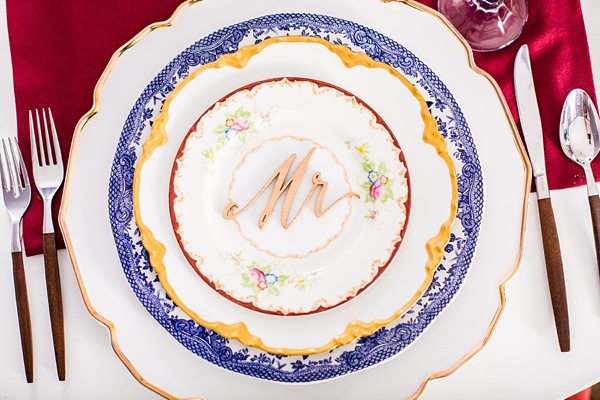 Whether you have an established collection, want to go on a special mission to find them for this dinner party, or just want the quick and easy way (such as renting everything from a local rentals company like Mad Hatter Vintage Rentals if you're in southeastern Virginia! 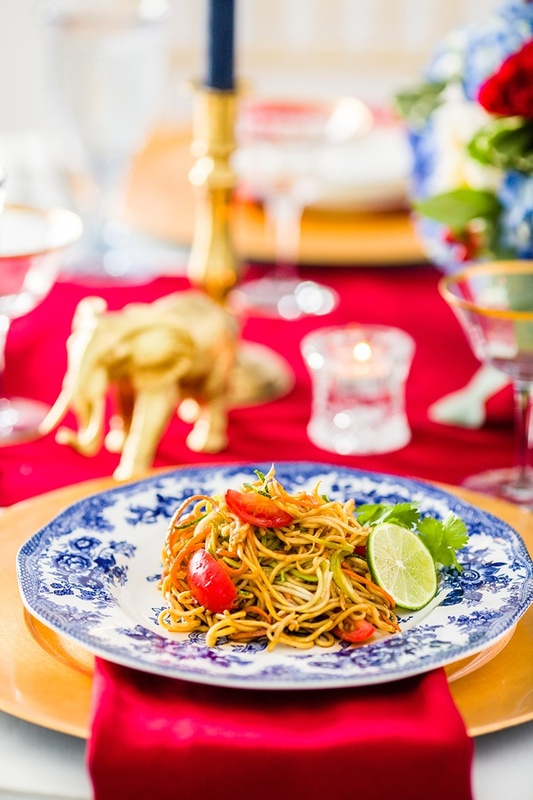 ), there are several avenues you could go to get the perfect Debate Night look for your tabletop. No argument about that one! 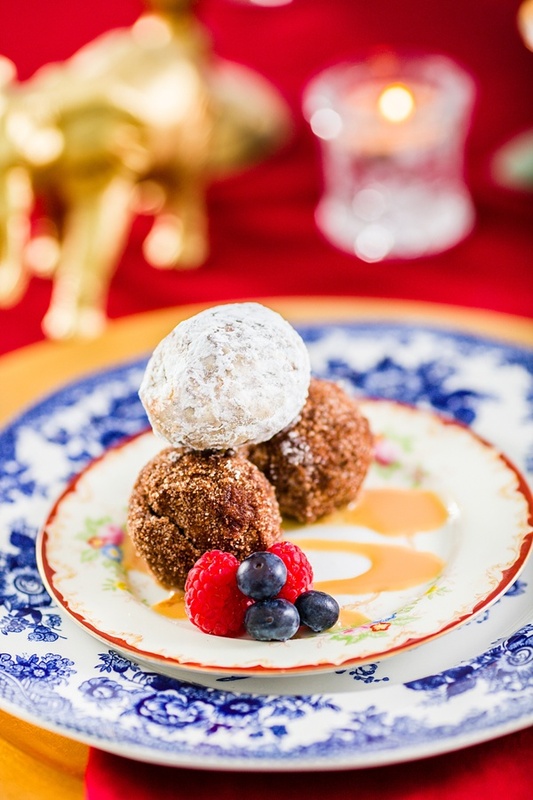 From delicious taters to sweet victory endings in the form of donut bites, this debate-inspired menu is sure to win over everyone at the table. 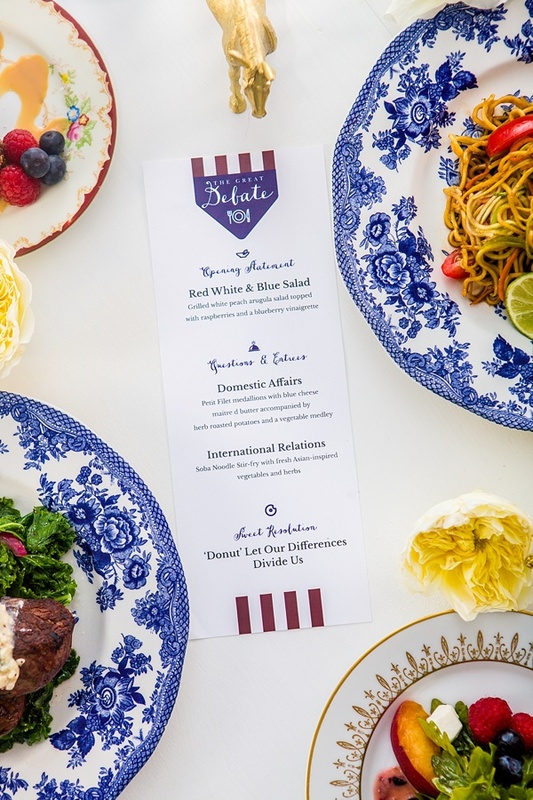 Created by chef Andy Montero and his crew at Montero's Restaurant, this collection of hearty, savory, and global eats touches on all things simple and tasty in the spirit of red, white, and blue. The best part? 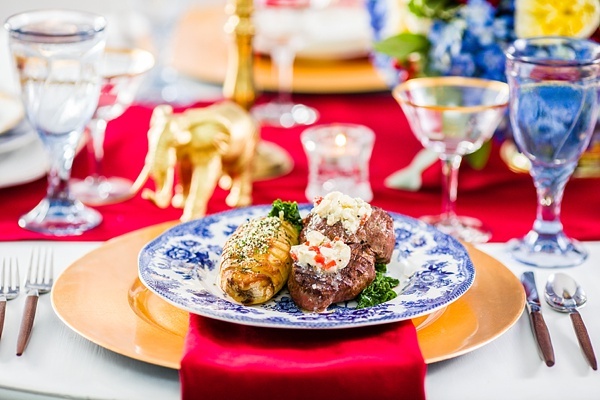 The crew at Montero's is helping you with the DIY romance and has provided the Great Debate Date Night recipes for you! The key to having fun with a politically-inspired party is keeping it light and finding things that everyone can agree on like goofy games with a grownup spin and romantic presidential movies! Snuggle up on the couch with those donuts from dinner and enjoy either The American President (1995) or Dave (1993)-- both some of our personal favorites when it comes to romantic comedies centered all around life at the White House. Grab a white handkerchief and blindfold your partner while giving them two gentle spins as they try to pin the animal's tail on the poster of choice. You can draw an outline of an elephant and a donkey on some large paper or get these adorable Democrat and Republican posters from Etsy. Don't forget to give a kiss when your partner wins before you take the blindfold back off! Find the quirkiest facts about our past presidents and DIY your own fill-in-the-blank shenanigans or grab this pre-made election-themed Mad Libs on Amazon. While there's no clear winner, it's sure to bust out some laughs and bring both parties together! So no matter which election animal spirit you claim, we hope that you find this a reason to get-together for a entertaining night at home! And if you put your date night together, share your own date night photos on Instagram using #TidewaterDateNight for a chance to get featured in a future roundup!